Parranda lyrics - Puerto Rico is Music! Parrandas are the Puerto Rican version of caroling. It is marked by singing traditional Puerto Rican music called aguinaldos, although Christmas music has experienced a stylistic diversification from villancicos to boleros, tuna songs, and salsa. 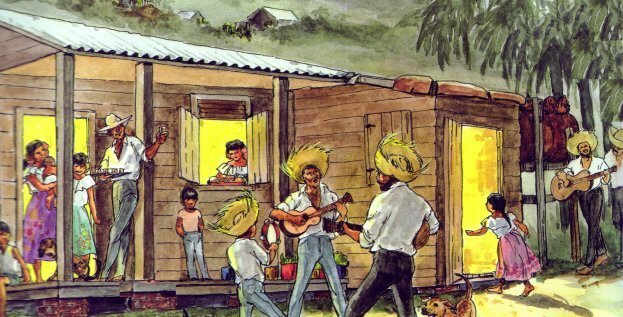 Modern day parrandas in Puerto Rico include tuna songs recorded from the 1960s to the 1980s that allude to the Puerto Rican Christmas tradition and convey intense celebration and festivity. Those commercial songs came from many Tuna groups that were popular during that period.